The assortment of bags at Shirtspace.com will surprise you. In fact, the only thing more surprising than our selection is our affordability! We have a wide range of bags in numerous styles, colors, brands and sizes—all just a few simple clicks away. Browse our customizable blank bags, purses, satchels, or cases, and choose a style that fits your lifestyle and personal preferences. We offer classic briefcases perfect for buttoned-up office settings, and oversized duffle bags that make the ideal locker room or travel companion. Don’t forget our selection of messenger bags and backpacks for that student on the go or the professor with a schedule to keep. We’ve got coolers to bring to the party, sandy beach, or little league game, and drawstring bags to wear hiking in the hills. All these options and more are available at Shirtspace.com. 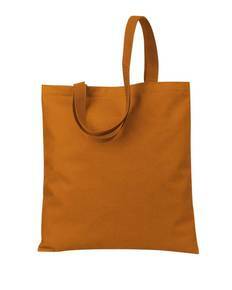 Shop our wholesale canvas bags and demonstrate your environmental friendliness while browsing the grocery aisles. Or purchase a simple, blank bag and add your own unique flair. 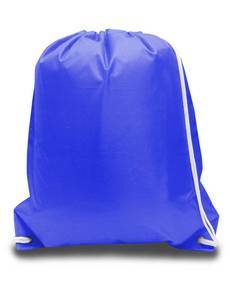 If you are looking for a more courageously colored bag, ShirtSpace lets you search for that perfect color with ease. From baby blue to dark red, our bags come in a variety of colors and shades. Whether it be a plain gray tote bag for doing the laundry or a bright purple computer bag to turn heads in the library, you’ll be able to find it with ease on our comprehensive website. Shirtspace.com is the best place to find the right blank bag at the perfect price.